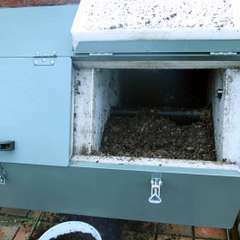 Composting is an activity that a lot of home gardeners consider taking on but get overwhelmed once they start. After all, it’s just throwing kitchen scraps in a bin and then magically this great organic fertilizer appears. 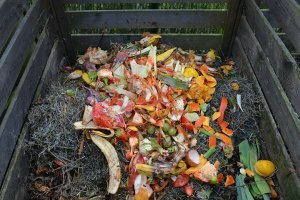 If you’re one of the thousands who has tried to start a composting project, you know that it is not that easy. I’ve been composting for nearly a decade and I’ve made a lot of mistakes. This all changed after I purchased a Jora composter. 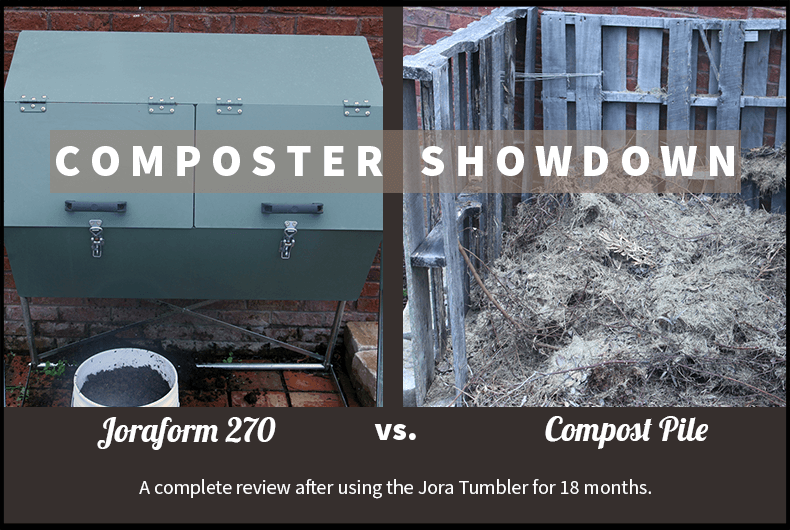 The JK270 model has changed my composting regimen completely. Learn from my experience and make sure that your home composting program is effective from the beginning. Turn your yard and garden waste into valuable planting material with a composter. 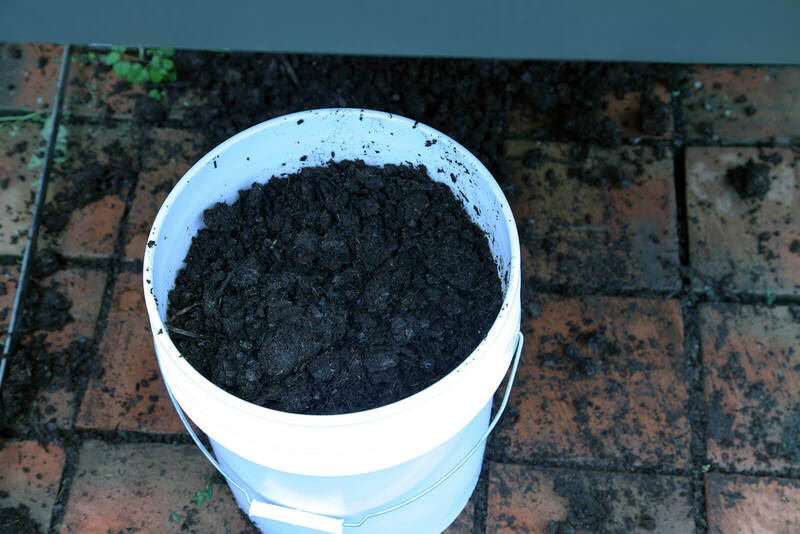 There are two ways to go about composting at home – you can either create a compost heap or use a compost tumbler. As I said earlier, I’ve been composting for almost ten years so I’ve experimented with both methods. Let’s review each option. This is as simple as it comes. You simply layer browns (e.g. leaves, hay or bread) with greens (e.g. grass clippings and kitchen scraps) and then cover with a layer of topsoil and water. 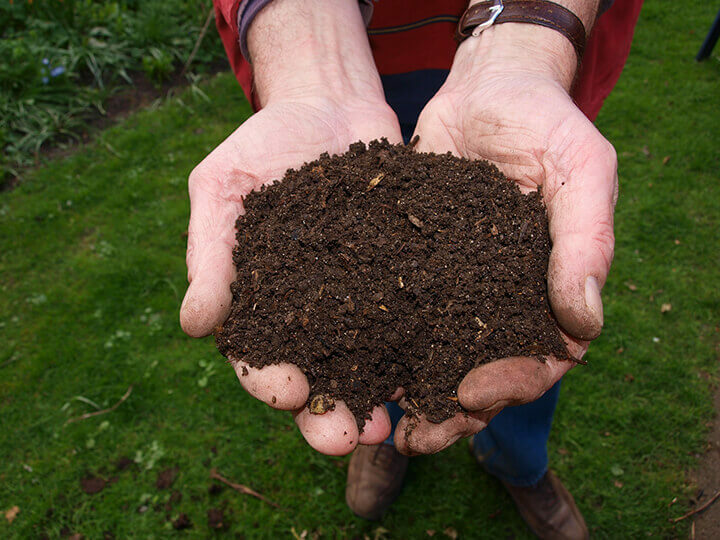 As you accumulate more material simply add layers to your existing compost heap. While this is certainly an uncomplicated approach and extremely easy on the pocketbook, you will most certainly face unwanted animal visitors and the need to aerate the heap. While a pile is easy to build, it isn’t easy to aerate. Aerating is periodically mixing the organic material together to allow the microbes the chance to start decomposing the ingredients. If you don’t aerate, the inside of your pile will compost but the outer sections will just turn dry. This is a much more efficient and pleasant-smelling option. A tumbler is a composting bin that is completely enclosed which can be rotated so that the materials mix easily. 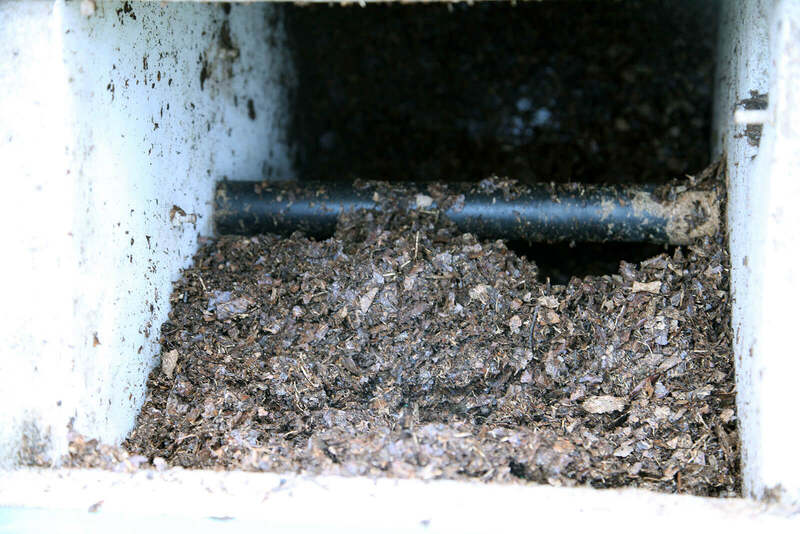 Also the fact that it is enclosed means that the heat generated from the composting process stays within the tumbler and gets you to your end result faster. In my initial attempts at composting, I went full steam into the heap method. I placed a three-sided bin in a corner of the backyard and began to populate my layers with leftover meat and fish, yard clippings, and coffee grounds. For months I labored and even completed a full turn but really had nothing to show for it at the end. My wife was also not pleased with the contribution it made to our overall backyard appearance. My heap compost bin made from old pallets. Notice the complete dryness and lack of any results due to not turning the pile. I began to research other options which led me to purchase my Jora JK270 compost tumbler. While Joraform offers a few different sizes of tumblers, I chose the 70-gallon option which equates to about 9.5 cubic feet. This size falls roughly in the middle and was the perfect size considering the amount of compost that I wanted to generate. One of the biggest benefits of the Jora JK270 compost tumbler was its dual chamber design. This allows you to keep adding materials to one bin while the other bin is maturing so you can have quality compost at regular intervals. This is a huge benefit over other composters with just a single bin. Other pros to the Jora are the fact that it is made of high-quality galvanized steel. The sealed bins are perfect for keeping out mice and other rodents so you don’t have to worry about tossing those food scraps into the composter. Also, the rotation mechanism is easy to use even when the bin is full as it has multiple handles on the tumbler. Even my kids like opening it up to drop a few weeds in and then spinning it like the big wheel on the Price is Right. The design also includes several aeration holes on the sides to allow in oxygen while you’re tumbling. And as my wife is quick to point out, it’s also much more attractive than the huge pile of material that I had accumulated using the heap method. And while it is not as important given that I live in the South, the enclosed bins are insulated and allow for year-round composting. There are some cons to the Jora JK270 composter not the least of which is the installation itself. I eventually had to enlist a friend to help me so I would safely say that this would be a two-person job for just about anyone. The company has a very thorough and useful video which I highly recommend. One other negative is the difficulty of removing the compost once it is complete. I find it rather awkward and often leave some on the ground. A large plastic tub will work better than the 5-gallon bucket I use, I just can’t seem to find one when I need compost for planting. Here are some actual photos of my JK270. It’s a composting bin so it can definitely get messy. For the aspiring urban gardener, composting is a great option to ensure you have a steady stream of organic fertilizer with the added benefit of landfill diversion. If you’re just getting started the heap method may be best for you. Start-up costs are virtually nil so you could start tomorrow if you wanted. The turnaround time to get your compost though is going to be extremely slow. If you have any desire to really embrace composting I highly recommend the Jora JK270. I’ve had mine for years and it’s still producing great quality compost. 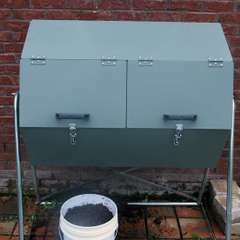 I bought my composter on Amazon (click here to check the current price of the Jora composter). I think the models from Joraform are the best composters on the market currently. The dual bins, high-quality construction, and well-designed tumbling process allow you to get what you want, beautiful dark compost, faster than other methods. If you have any question just drop them in the comments and I’ll do my best to follow up with you. No matter what type of gardening you do, rich, dark, organic compost is prized for improving the soil so much that the flowers, foliage, or vegetables you grow are the healthiest and most robust. Compost is comprised of all-natural things and can be easily made at home in a much healthier way than buying premade stuff in plastic bags at a home and garden store. The basic ingredients of compost are plant parts and grass clippings, kitchen scraps, paper, very few animal byproducts, beneficial nematodes and insects, and water. Although rot is not something people usually encourage around their homes, that is exactly what gardeners want when they create the perfect soil for their plants. 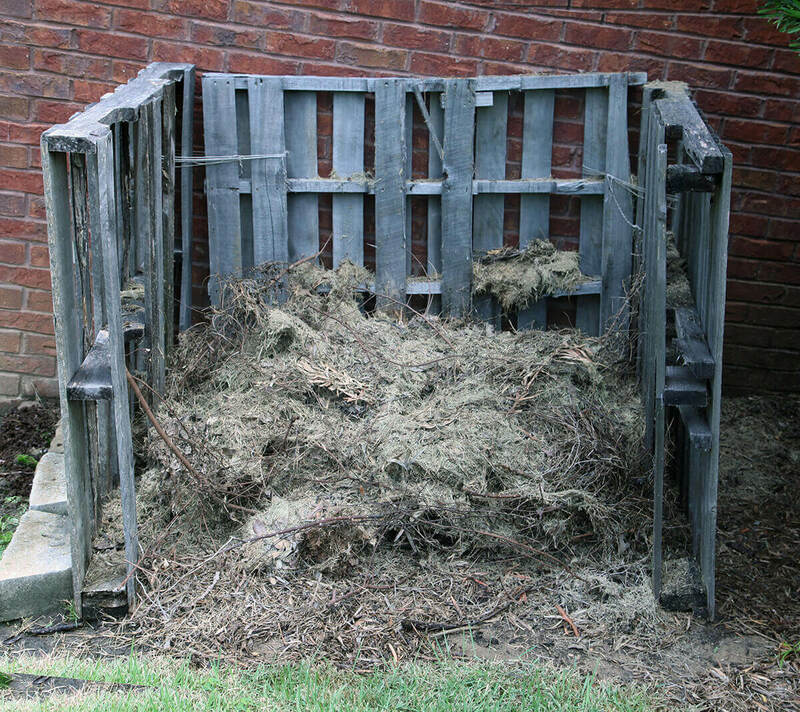 Although some gardeners have a compost pile or heap upon which they throw all their plant clippings and vegetable scraps, the majority have some sort of container that keeps the dirt and debris out of sight. 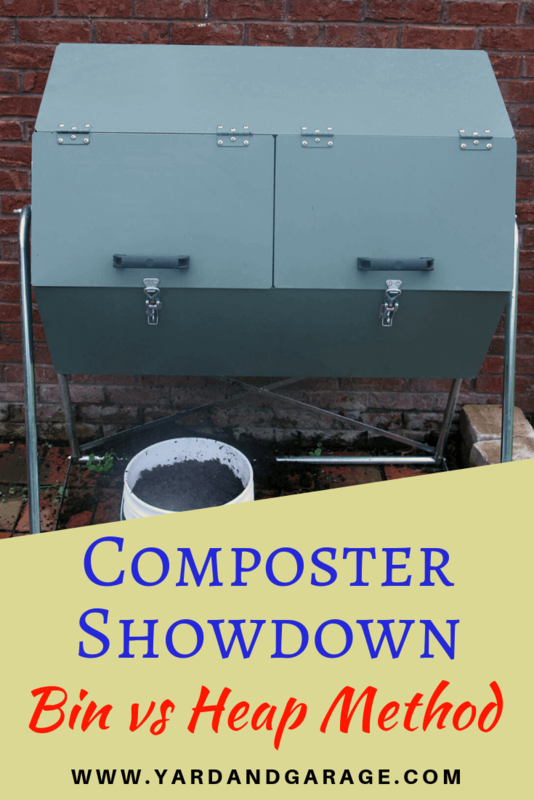 The container you choose will depend on how much compost you wish to make, how much room you have to make it in and also partially on your surrounding climate. If you live in a very dry area, you will need to use a container that retains water to facilitate the breakdown of organic waste. Position your compost container where you wanted to stay, gathered together yard clippings, kitchen waste, and shredded paper and drag the garden hose or a few buckets of water nearby. Now you are ready to begin. When you first start your compost-making project, billed using layers of various organic materials. For example, put down a layer of grass clippings, then plant-based kitchen scraps and finally some scrap paper. Soak all of this well with the hose or bucket and then add more layers. 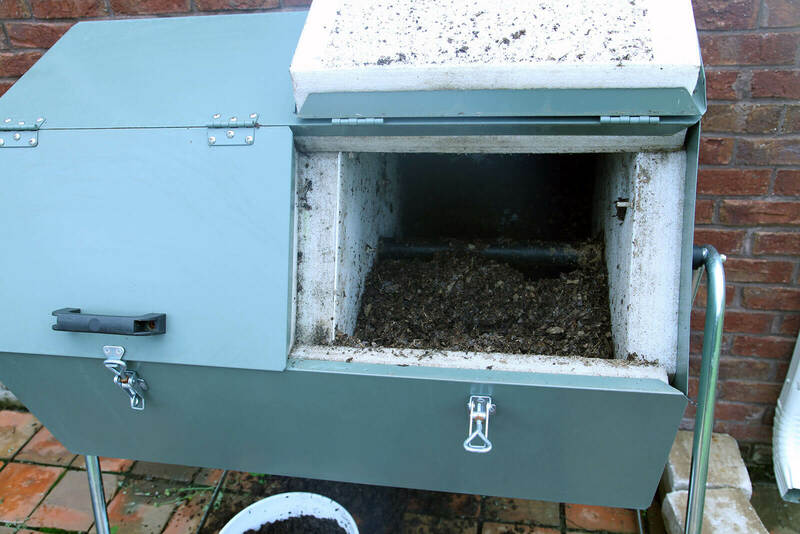 Ideally, compost should be turned and aerated semi-frequently to keep it from building up too much heat and to also ensure even decay of all the materials. Using a pitchfork and turning things over is an easy way to accomplish this task. 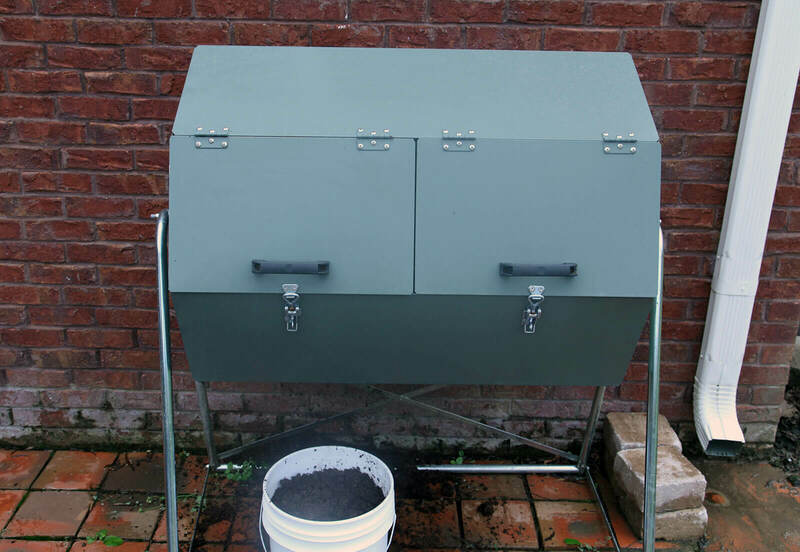 If you have a compost container with an open bottom, you can simply pull that off positioned next to it and then fork all the compost back in the new position. After a certain amount of time, which is largely determined by what you put into the compost pile and the weather you have in your area, the grass clippings and carrot peels will turn into dark compost. This is what all of the gardeners have been waiting eagerly to see. To make the healthiest dirt possible, this rich, organic compost should be dug into the soil in garden beds, mixed in with potted plants and otherwise broadcast wherever you want your flowers, foliage or vegetables to be healthy, robust, and beautiful. If you want rich usable compost, you’ll want to make sure your ingredients are in balance. Composting as a way to recycle, has recently gained popularity. 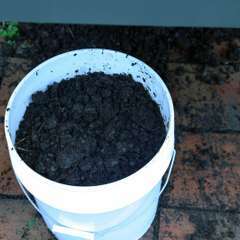 Compost containers come in various sizes, and can even be homemade. This makes the practice convenient for all living situations. Apartment dwellers have even joined in the efforts. It can be exciting to bring a natural element to your gardening efforts. 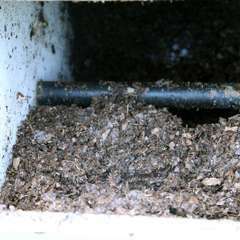 Proper methods, however, are an important part of composting. 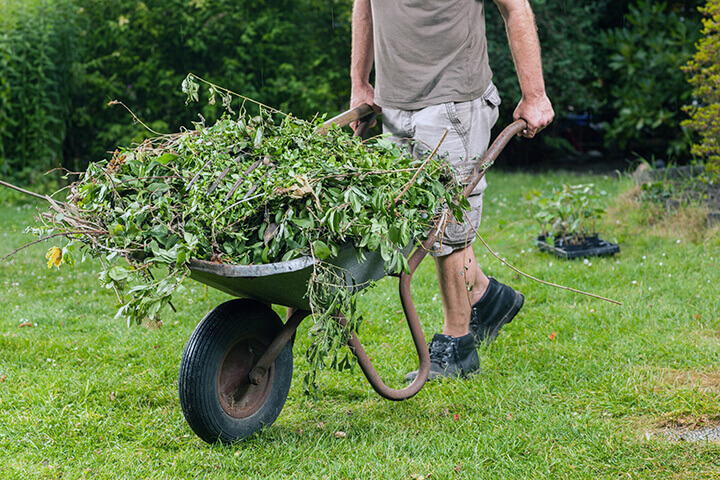 There are a few common mistakes that can make your compost quite unpleasant. Thankfully, most issues can be easily resolved. A smell that leaves you sick to the stomach is usually the first sign that something has gone wrong with your compost experiment. There is no need to throw everything out and start over. The most common cause of this problem is lack of balance. A compost pile is made up of green and brown components. The green items are the live food that you add regularly. The brown additions consist of dirt, paper, and leaves. A new compost pile needs to start out with about half of the container filled with brown ingredients. As you add more food waste, this balance may get thrown off. Decomposition of organic matter cannot happen without proper ingredients. Add more dirt immediately to remedy this problem. There is often a debate of whether or not acidic fruits should be added to compost. Overly acidic compost can harm plants in your garden. The skin of citrus fruits should be prepared prior to joining the rest of the compost. Cut up citrus items into smaller pieces. This action helps them to be more spread out in the compost pile. A little extra dirt may also help to balance the acid content. You can save the rinds and add them a little at a time, as well. 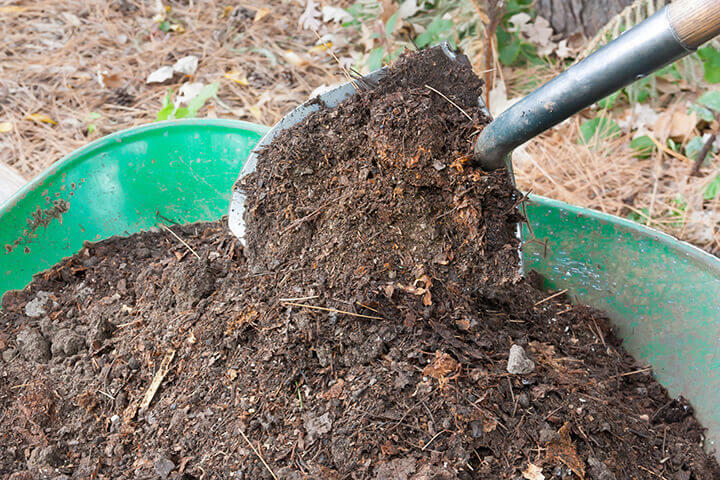 Compost that is regularly exposed to acidic items should be diluted with fresh soil before being used on flower beds. It can be unsettling to walk by your compost container and see a trail of putrid liquid. This is another problem stemming from lack of balance. In nature, those liquids would go straight into the ground. In a container, however, they have nowhere to go. The absorbent ingredients need to be increased in this situation. Dirt is a necessity, however, the newspaper adds more absorbency once the situation is out of control. Rip up some newspaper and add it to the container. Stir in the new ingredients to evenly distribute. The organic material should constantly be in progressive stages of decomposition. If your compost seems to be at a standstill, it’s time make some changes. The first rule of compost is to keep it moving. You can purchase a self-turning compost machine or mix it on your own. Turn the pile at least twice a week to evenly distribute the green and brown material. Oxygen deprivation also slows down decomposition. There needs to be proper ventilation. Manufactured containers already have this feature taken care of. Homemade containers may need to be adjusted. Holes can be added to homemade containers using a drill. It can also be beneficial to remove the lid for a short period of time. This temporarily increases the oxygen accessibility.